Can You Force Someone into Drug Treatment? It’s an ethical issue. On the one hand, according the Alcoholics Anonymous 12 Step program, “(We) came to believe that a power greater than ourselves could restore us to sanity.” That implies that alcoholism/drug addiction is a mental disorder and through a process, we can become healthy again. We also accept the fact that in many cases the disease of addiction, if you chose to call it a disease, left untreated, will eventually kill the person. We also understand that the disease can cause a person to act “strangely” or in a way that is not in his/her best interest. So is it not logical to put some of those pieces together and state that it is necessary to treat the disease and save the life of the individual, even if it means going against his/her will? However, the rights of the individual are paramount in the United States and we have the right to refuse treatment. In hospitals every day doctors have discussions with patients and family members about treatment for a potentially fatal condition, to determine whether or not to continue treatment, or switch to palliative care, or just do nothing at all. Patients complete a medical power of attorney, which is a document that gives the final medical decision to a person of the patient’s choosing in the even he/she is incapacitated or otherwise incapable of making a decision. I have participated in many discussions concerning treatment options, as family members struggle with the presenting issues. The recommendations of the doctor, based on medical evidence and experience, may or may not factor into the decision. I share this because we go out of our way in this society to give the person the right to choose. Never forget that the DISEASE of addiction can be treated! This right to choose is an issue because addiction is very treatable. We can’t cure it, but people do overcome and learn to live a happy and healthy life. It’s not a pipe dream. The trouble is if I have a failing heart I am going to know it. There will be symptoms which I can’t ignore in most cases, so I seek help. They may have to replace a valve, or remove a blockage, or even to open heart surgery. The addict, however, ignores the obvious symptoms of his/her disease. They do not have a problem, you have a problem. They don’t want to stop and they can’t stop. But they have the right to continue killing themselves. They may drive drunk, they may commit crimes, they may act irrationally after using their drug of choice, but they have the right to refuse treatment.In this case no treatment is considered to be ethical addiction treatment. The disease causes so many health issues. Emergency rooms are filled with drug cases, people are in and out of hospitals with a variety of ailments, all related to the addiction, but we treat the presenting symptoms, not necessarily the cause. I recall a case of a young man, in his late 40’s, who refused treatment for his alcoholism for years and eventually just drank himself to death. By the time he came to our emergency room it was already too late. The medical team tried, but the die had been cast. Through the years, even though every member of his family knew he was an alcoholic, even after he lost his job, his family and everything of meaning, and based on ethical addiction treatment he still had the right to refuse.Is that really ethical addiction treatment? Should we force people into treatment? Am I my brother’s keeper? It’s an interesting question and one that requires examination. What does that mean? Does that mean I should force by brother to receive treatment for his disease even though he refuses? Does that mean my sister must endure my intercession? Conventional wisdom suggests that people have to go “thud” or hit bottom as they say, before they begin to look up and ask for help. I have seen all too many times that “thud” is too late. Well, we’ll let them go along, but if they commit a crime, by golly, we’ll throw them in jail. You can drink all you want, but if that means it changes you from a rationally-functioning member of society into an idiot, we’ll incarcerate you and tell ourselves that we’ve done our part. We send them away and dry them out, but without treatment, they just go back to suing and the cycle begins again. Can I force you to get treatment? What is the standard for ethical addiction treatment? If you are in the clutches of the disease and can’t, or will not make a good decision for yourself, then I am compelled to try to help. Throwing you in the county cooler is expensive and I would argue more expensive than treatment. But it is sometimes the only option, because you have the right to refuse treatment for a recognized mental disorder. Repeat drunk driving offenders are classic examples of this. They are in court over and over, yet the discussion centers around how much time they should do for their crime, but precious little is talked about when someone suggests treatment. Families can have tremendous impact on addicts, by not enabling the behavior, but instead forcing the issue of treatment. That “power greater than ourselves” might be the love of family and the caring that comes through close, family relationships. Addicts often go because they love their family. Sometimes they go because the court orders treatment, so they comply because they don’t like the alternative. When there is a history of addiction, when there are so many signs of the disease and how it is impacting the downward spiral of a person’s life, do you really want the addict to make the call? The very thought process that contributed to the advancement of the disease is not going to be reliable when making the decision whether or not to treat the disease. 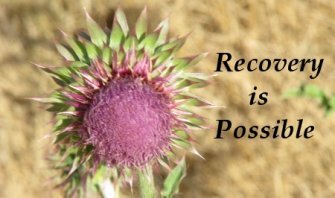 When addiction comes into bloom, they have gone beyond their ability to act in their own best interest. It’s a sticky issue, both ethically and legally, isn’t it? We know what the addict is doing, but what is our response?